You should never have to choose between quality service and reasonable cost when selecting a lawyer. At the law firm of Stivers & Gramm, LLC, we believe that experienced and knowledgeable representation is not a luxury. Most of our services are offered on a flat fee. This makes hiring a law firm a realistic opportunity for our clients. 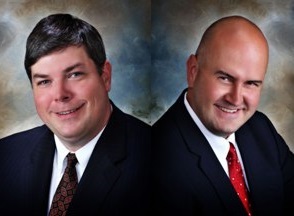 Attorneys Chris Gramm and Michael Stivers are committed to providing experienced and knowledgeable representation to every client who walks through the door. They are dedicated to the outcome of the case. Each attorney is a former prosecutor with extensive trial experience. We handle criminal defense and DUI, real estate and wills, and family law and divorce for clients in Central Illinois. See our Practice Areas Overview page for more information on our practice. We offer a free initial consultation for every client. Contact our firm at 309-662-1090 and feel confident about working to resolve your legal problem. The attorneys at Stivers & Gramm share many things in common, including working as assistant state's attorneys after law school. Chris Gramm was also a public defender in McLean County and is an arbitrator for the 11th Judicial Court. Attorney Gramm has experience on both sides of the table in criminal law. At Stivers & Gramm, LLC, Chris Gramm defends people charged with all felonies and misdemeanors, including DUI. Mr. Gramm also speaks Japanese and can assist in language interpretation. Michael Stivers also worked for the Illinois State Attorneys Appellate Prosecutors Office and is a member of the Board of Directors of the Old House Society of McLean County. Attorney Stivers is also an arbitrator for the 11th Judicial Court. At Stivers & Gramm, LLC, Mr. Stivers helps people buy and sell homes, in addition to planning estates through wills, trusts and other important documents. Contact our firm at 309-662-1090 for a free initial consultation. Our firm has evening and weekend hours by appointment and is located just east of downtown Bloomington, Illinois.